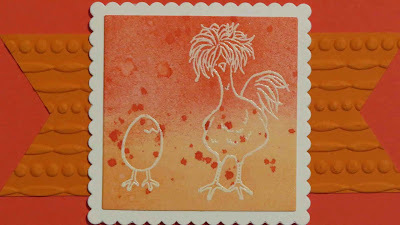 This is a new Sale-a-bration stamp set called Hey Chick. 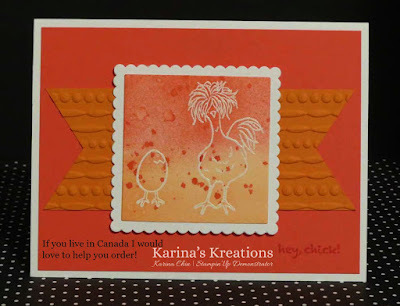 There are 3 chicken images in this set and they are super cute. 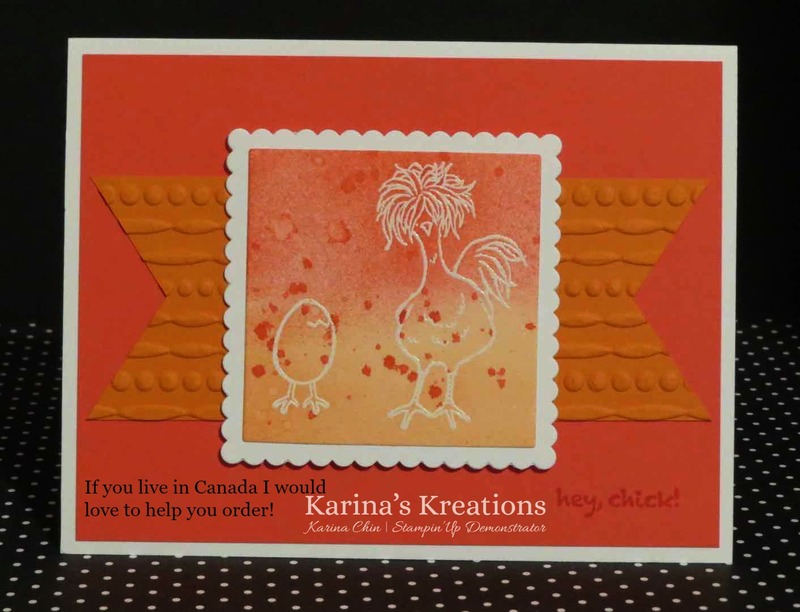 I stamped my images with Versamark ink on Shimmer White card stock and embossed them with Whisper White embossing powder. 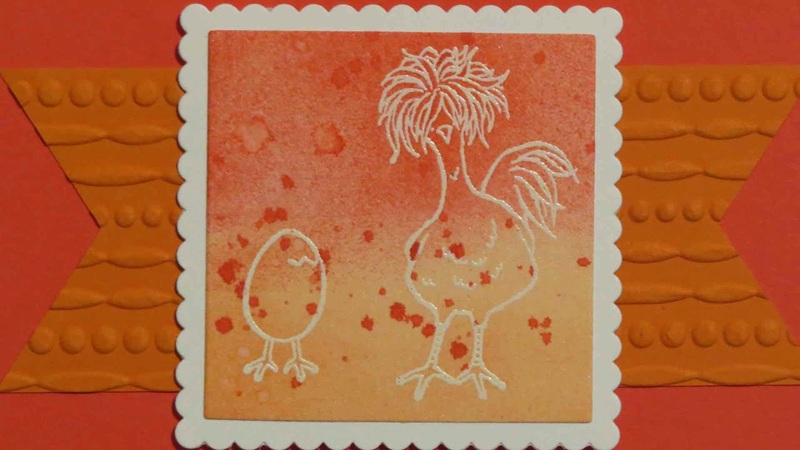 I used the sponge brayers to roll Watermelon Wonder and Tangerine Tango ink over the images. Sponge brayers come in a pack of two.